You have probably heard about lavash, traditional Armenian bread, which is an important part of the Armenian table. Lavash is not just bread, it’s part of history and culture, and it has its own legend. A king named Aram that ruled in Armenia, was captured by the Assyrian king Nosor. For an honest victory over King Aram, the Assyrian king refused to kill him, instead he offered an honest battle, competition archery. There was one condition: Aram should have been left without food for 10 days. According to Nosor’s plan, Aram should have been weakened without food, so that he could win him without effort. King Aram understood the cunning plan of Nosor and demanded from his army to bring his most beautiful shield. Without suspecting anything the messengers went to the border. Armenians guessed what the king was asking for and baked thin bread, which was hidden in a shield. Thus, every day King Aram demanded a new shield, explaining that every time they sent the wrong one. On the eleventh day the Assyrian king amde a shot and expected to see the weakened king Aram. Aram won in competition and saved his country. Intelligence and Armenian bread have a great power. Of course, we admit that this could be just a legend, but in every legend there are words of truth. What is Armenian lavash? It is a large oval bread made from fresh white dough. The process of making bread is a whole spectacle. Lavash is traditionally cooked in tonir. Tonir is a clay hearth that is digged in the ground. Every farmhouse had a separate building reserved for tonir, as it was a tradition for an Armenian family to bake bread and make shish kebab in tonir. Toner is heated with brushwood, and after the fire gets lower, the bread is baked. 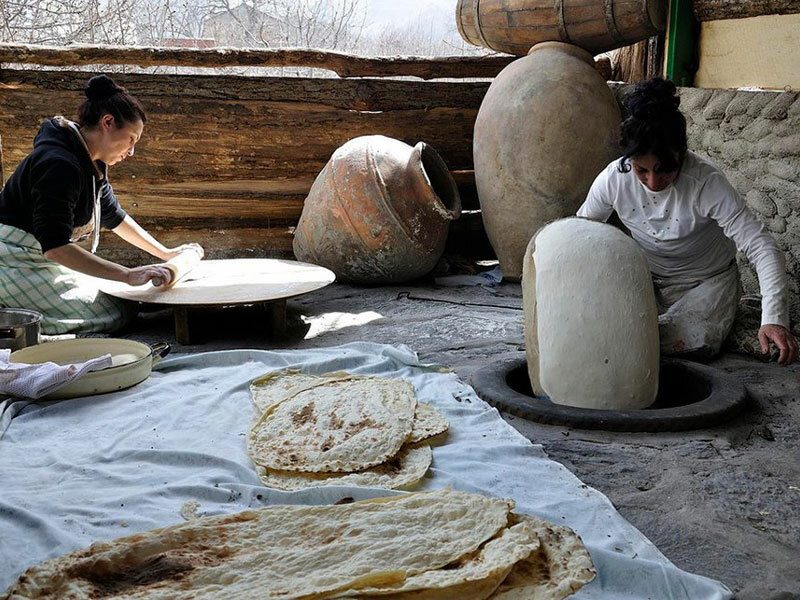 From the side, the process looks rather extreme: the women roll out the dough to a thin flat cake, dangle over the hot tonir and throw the dough on the walls of the tonir. When the cake is covered with bubbles, lavash is removed and folded. Nothing is compared to the aroma of fresh and hot lavash. 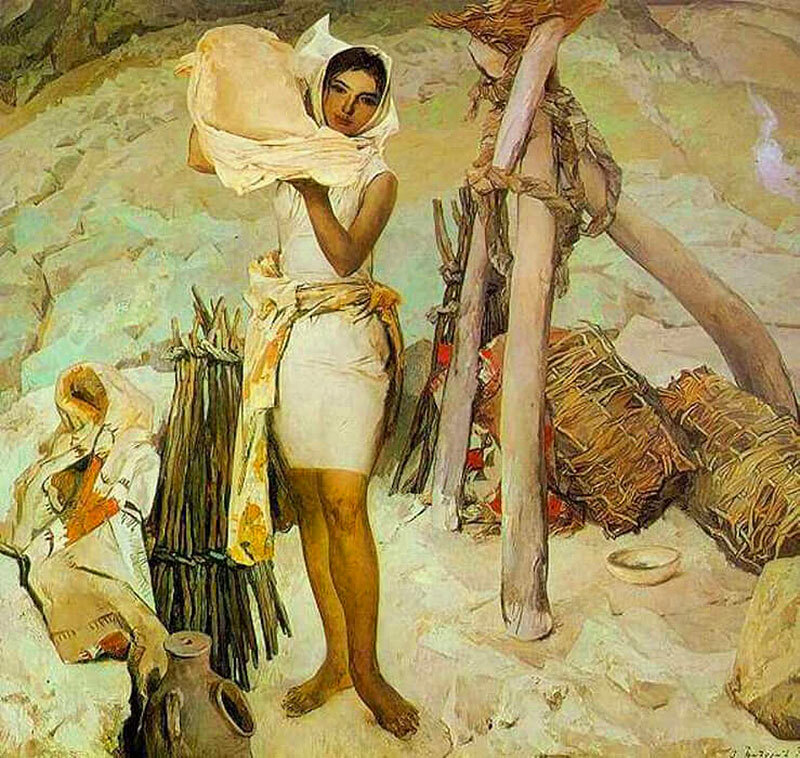 The tradition of baking lavash in tonir has a thousand-year history and it has survived to our days. Of course in big cities lavash is baked in modern stoves, but if you want to see the real process of baking lavash, you need to visit small villageswhere every house has its tonir. In recent years, gastronomic tours and eco tours have become quite popular in Armenia. Those tours offer tourists to get a closer look to traditions of Armenian cuisine. Baking Armenian bread is the most important and exciting part of gastronomic tours. Armenian lavash is not only delicious, but also very useful bread. Since it does not contain yeast, it is ideal for those who have decide to go on a diet. In addition, it is possible to cook very tasty and interesting dishes with meat and lavash (lavash is used instead of dough in this case). 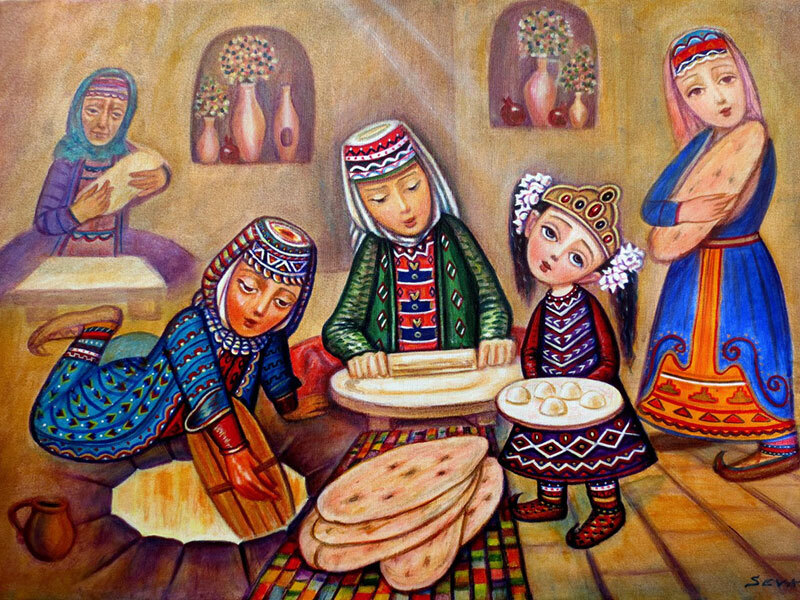 As a proof that Armenian lavash bread is an important part of the history and culture of Armenia, UNESCO included lavash in the list of intangible cultural heritage as an element of Armenian culture.